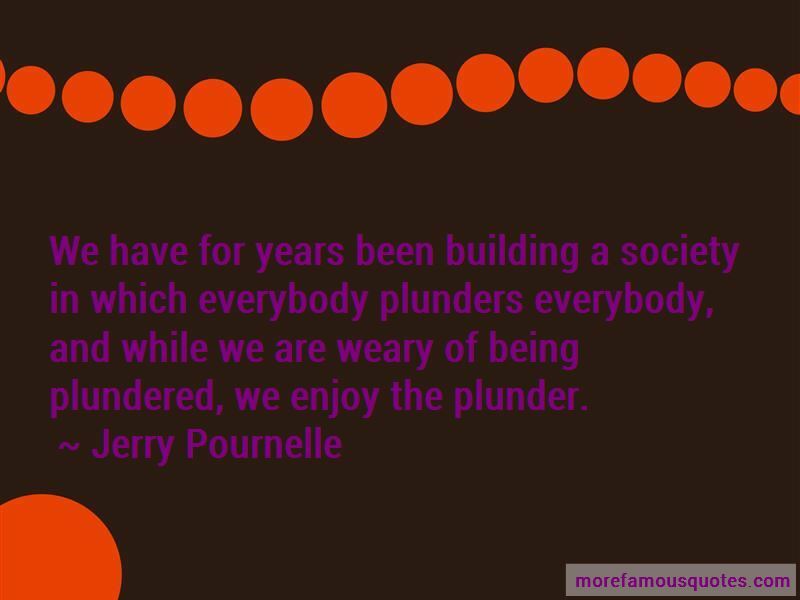 Enjoy the top 57 famous quotes, sayings and quotations by Jerry Pournelle. One of your most ancient writers, a historian named Herodotus, tells of a thief who was to be executed. As he was taken away he made a bargain with the king: in one year he would teach the king's favorite horse to sing hymns. The other prisoners watched the thief singing to the horse and laughed. "You will not succeed," they told him. "No one can." To which the thief replied, "I have a year, and who knows what might happen in that time. The king might die. The horse might die. I might die. And perhaps the horse will learn to sing. “Mr. Prince, would you like to know the most significant event in the history of freedom?" And meanwhile, the storytellers like me and Anderson, Silverberg ... we tell stories. People like them. They want to know how it comes out, they want to know what the ending is. It's the nature of government, to build enduring institutions, structures that stay long after their purpose is over. 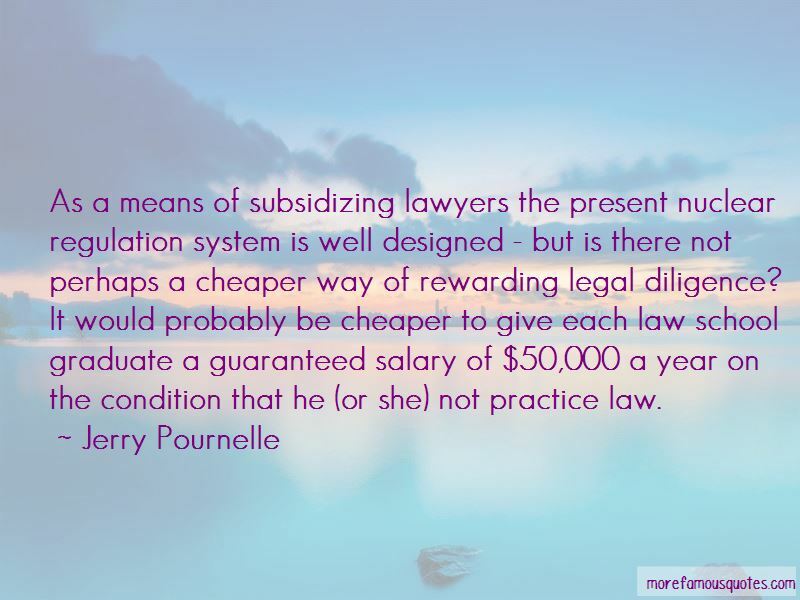 If you pay people to help the poor, you have people who won't be paid if there aren't any poor, so they'll be sure to find some. Paradoxically, the few eras of peace were times when men of war had high influence. The Pax Romana was enforced by Caesar's Legions. The Pax Brittanica was enforced by the Royal Navy and His Majesty's Forces. Grinding the faces of the poor seems to be the policy of the Greens. Gates has always understood Moore's Law better than anyone else in the industry. If you can make something run at all, get it out there -it may be slow and clunky, but hardware improvements will bail you out. If you wait until it's running perfectly on the hardware already in the field, it will be obsolete before it's released. This philosophy built Microsoft and is the main reason Microsoft won the war IBM declared back in the OS/2 days. 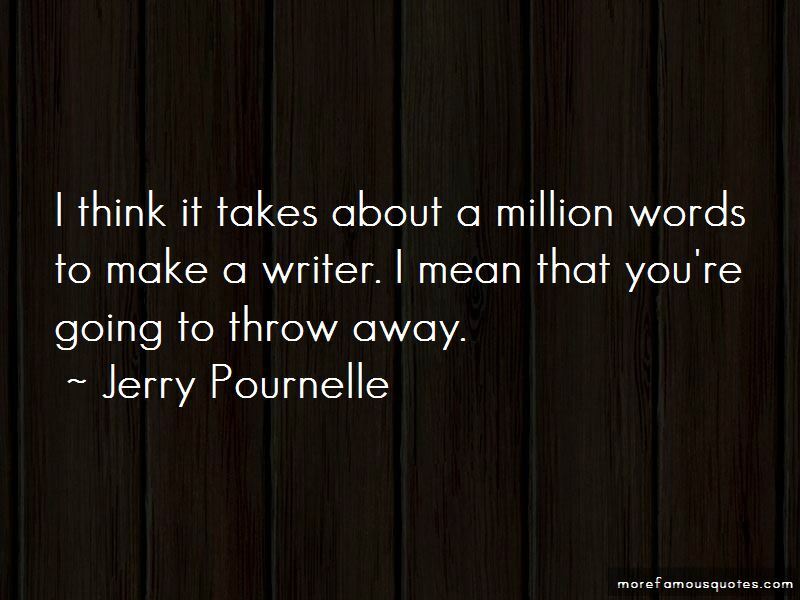 Want to see more pictures of Jerry Pournelle quotes? 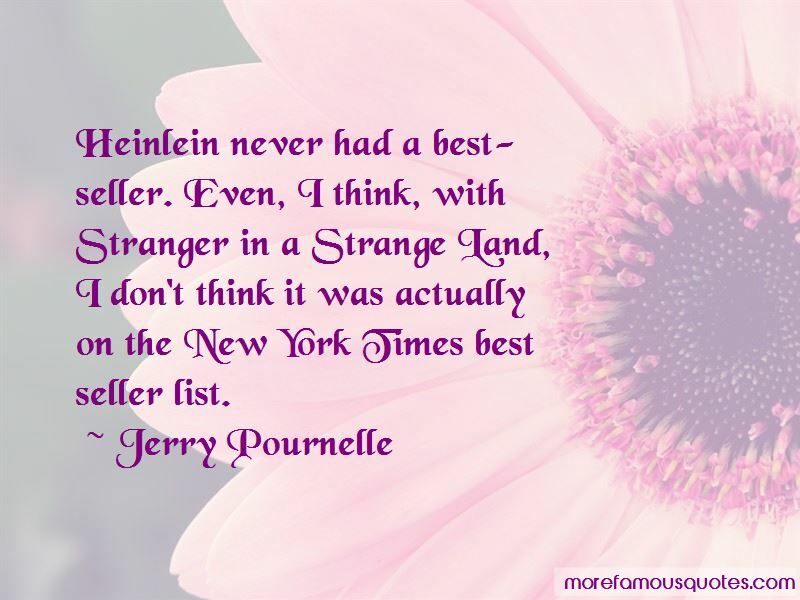 Click on image of Jerry Pournelle quotes to view full size.